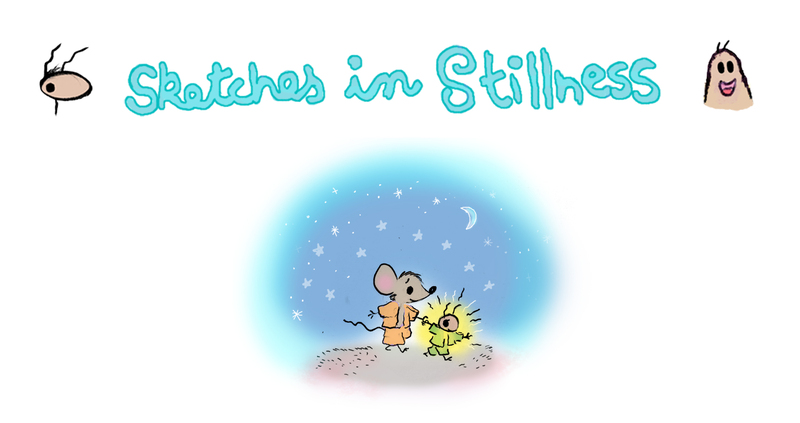 You are invited to join the Sketches in Stillness community. What are the benefits of joining this community? 1. Get notifications by e-mail when new sketches are posted on Facebook, never miss a sketch. 2. Easy to share and forward (via email) to friends and family, who do not have Facebook. 3. Exclusive AUDIO presentation of selected sketches by the author. 4. Receive regular store discounts. 6. Comic strips and blog updated, not offered anywhere else. 7. FREE welcome gift (2 high quality print, Yogi Mouse & Yogi Ant). You will get a link where to download and print it as soon as you join us. 8. 15% discount Welcome offer on Prints, Mugs, Books, Gratitude Journal, Original Sketch or Calendar. So come along, and join us today.